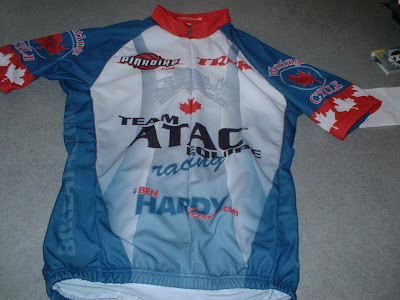 Yesterday I made it in to Atac sportswear in Langley and picked up my new kit. This stuff is unreal. It looks great, and the real kicker is that it fits me like a glove and not the OJ's glove, like a nice fitting glove, You know those ones, Yeah. I have had way to much coffee this morning and my new mini bodum is my new best friend. Oh I went into wentings bike shop and we put my new Trek hard tail on the scale and it was 19.2lbs. 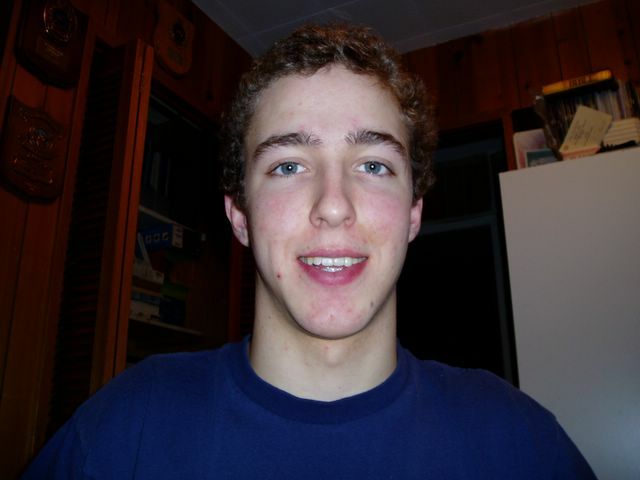 and there is a couple things still to go, race day it will be just a hair under 19. The canucks better wrap this thing up tonight be sure to watch CBC at 5pm. Tomorrow I am off to Seattle for the Seatac shuffle. 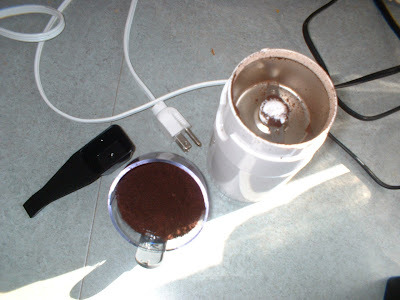 So after I won all those coffee beans at TST last weekend I had to go and get a coffee grinder. When you grind your own beans then brew it up the coffee is like a billion times better. Then I mowed down on this sweet feast. 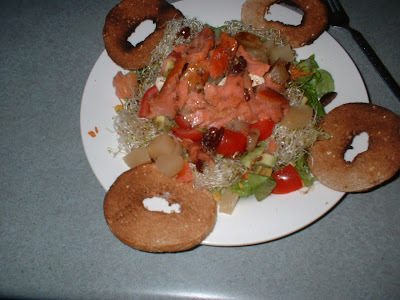 remember that salmon I caught in the summer, well it got smoked and now its smoking good. Looks like another extraordinary dish for Rickymaru's diner.